Steven Universe Episode List for season 2. Full Disclosure: With all the trouble with the Gems, Steven is avoiding Connie, good luck with that! Joy Ride: Steven has been too serious lately so Buck, Jenny and Sour Cream go for a joyride late at night, just for some fun… but what do they discover? Say Uncle: Uncle Grandpa helps Steven unlock the power in his Gem. Love Letters: Steven and Connie help let down the mailman, (Jamie), when he falls in mad love with Garnet. Reformed: What does Amethyst do when there is a monster loose? 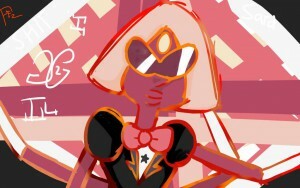 She teams up with Garnet and Steven, all the while trying to find a new form. Sworn To the Sword: Pearl gives Connie sword fighting lessons to help protect Steven. Keeping It Together: Garnet and Steven discover a secret, a dark secret when they explore the Kindergarten, where the gems hunt Peridot. We Need to Talk: Greg wants to fuse with Rose Quartz, so watches Steven and Connie fuse. Chillie Tid: Steven exhausts himself by looking for Malachite in the ocean with the Gems, but Steven is having trouble with recurring dreams of Lapis Lazuli. 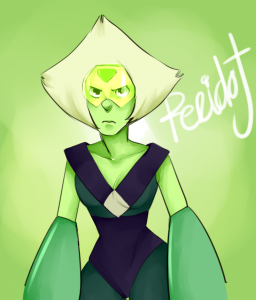 Cry For Help: Peridot takes over a Gem communication tower and disrupts TV broadcasts. Sardonyx, (Fuse of Garnet and Pearl) tries to destroy it. Guess who is really behind it? Steven and Amethyst finds out. Keystone Motel: Garnet goes on a trip with Greg and Steven, but is so frustrated about what had just happened that she splits into Ruby and Sapphire. Onion Friend: Steven and Amethyst visit Onion, Steven gets a tour while Amethyst enjoys visiting with Vidalia. Historical Friction: Pearl shares a more accurate accounting of Beach City’s history when the Jamie asks Steven to be in a play. Friend Ship: Pearl attempts to capture Peridot to redeem herself. Nightmare Hospital: What happens to Steven and Connie when the sneak into a hospital to get Rose Quart’s sword? Sadie’s Song: Sadie and Steven team up for the annual Beach City party. Catch and Release: Peridot is finally captured, by the Gems. Peridot ends up living in Steven’s bathroom? When it Rains: Peridot and Steven exchange information. Peridot takes Steven to Kindergarten. Back to the Barn: Peridot and Pearly fight to lead an expedition to the cluster. What’s this about robots!? Too Far: Amethyst gets her feelings hurt when Peridot gets involved in Gem gossip. The Answer: Have you wondered how Ruby and Sapphire met? Steven now knows since Garnet tells him. Steven’s Birthday: Steven is now 14 years old! He hurts his half human body when he tries to take a more adult form. It Could’ve Been Great: The Gems travel to the moon to get to the information archive, to help find the clusters exact location. Message Received: Peridot stole a communication device on the moon base and uses it call Yellow Diamond. Log Date 7 15 2: Peridot is a mess after what happened. Steven snoops into her diary. So how did Peridot and Garnet get along? I looked for where this was listed on my Directv and did not find it. What channels is it available on and when. I have a 10 year old, what is the rating for Steven Universe. Hi John, I couldn’t really find an official rating beyond recommended for 10 yo and older. I have been watching it with my 11 yo boy and while it does have some small sexual references its very mild. It probably wouldn’t interest children under 10. You can find it on the cartoon network which is channel 296 on direct TV. Thanks for spurring me to want to put this up on the post itself. Good luck and come back and let me know what you all think.. I have been watching Steven Universe with my son, and actually enjoyed a number of the episodes. Dude, you would not believe, I was just wondering what that cartoon was. I have seen parts of two episodes over the last 2 days and was intrigued. Your site answered that question, Steven Universe!!! Great site!!!! Hi Dee! So glad TV Series List was such a timely answer for you. I really love running a website and seeing people get what they want based on some enjoyable work that I did. Its very satisfying. Thanks for taking the time to comment!! 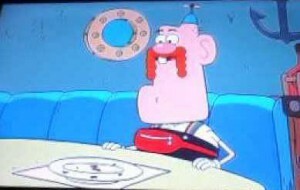 It’s my eldest birthday coming soon and he loves this show, are there any other similar programmes you’d recommend? Hi Dan, Yes I have been enjoying Steven Universe with my son as well. Very entertaining and different. As to your question about other TV shows. I have seen him watching We Bare Bears, its geared towards 8+ y/o and is getting great reviews. I haven’t really seen it myself so hesitate to “recommend”. Hi Vic, I have a nephew who talks about Steven Universe quite often but I wasn’t really sure what he was about. I watched some of the video and now see why he enjoys it so much. I think it was a great choice to add it to your site. Thanks for sharing it. Thanks Jon for commenting about your nephews interest in Steven universe. I’m glad to see it isn’t just my kid and me who enjoy it. I’ve never actually heard of steven universe although I’m pretty sure my younger sister watches it. If not, I’ll have to recommend it, haha. Thanks for the post! The Crystal Gems finally capture Peridot, but Steven suspects that she knows something and attempts to learn what it is, allowing her to live in his bathroom. Thats the catch and release episode. Number 18 of season 2. Did you like it?